Sweet, succulent, cooling, and often with a beguiling floral fragrance, a ripe melon can be one of the most delicious things you sink your teeth into. 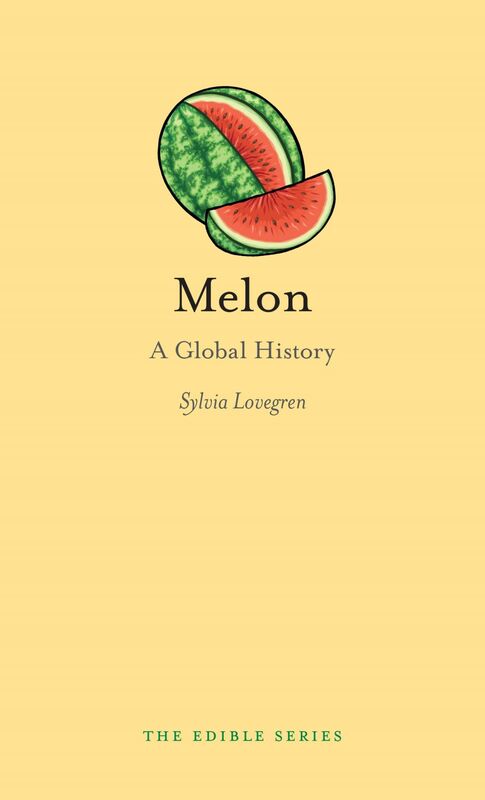 As Sylvia Lovegren shows in this book, the melon’s complex flavor profile is matched by an equally complex history. Cutting into the melon’s past, she takes us on a whirlwind trip around the world, from the sandy stretches of the Kalahari desert to the ancient kingdom of Ur in Mesopotamia, from the exotic oases of the Silk Road to Jesuit outposts in northern Canada, from slave plantations in Brazil to Japanese farms—where perfect melons are grown in glass boxes and sold at exorbitant prices. Along the way, Lovegren details the impact the melon has had on humankind. Moving from ancient and medieval medical recipes to folk tales, stories, growing contests, and genetics, she explores the diverse ways we have cultivated, enjoyed, and sometimes even feared this fruit. She explores how we have improved modern melons over centuries of breeding, and how some growers and scientists today are trying to preserve and even revive ancient melon strains. Richly illustrated and with a host of ancient, medieval, and modern recipes, Melon is a delightful look at the surprising history of one of the world’s most sumptuous fruits.